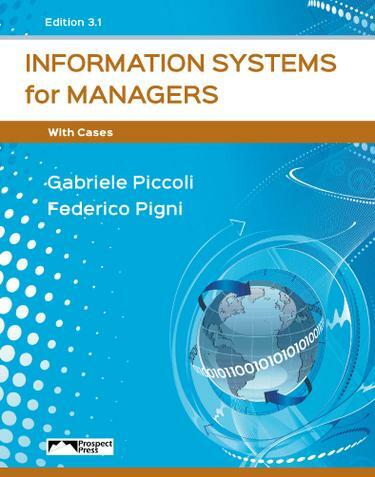 Information Systems for Managers offers a general introduction to Information Systems as well as focused coverage of the strategic role of information systems in the modern firm, and the design and implementation of IT-department strategic initiatives. Going beyond just a discussion of concepts, Piccoli and Pigni empowers readers to make critical IS strategy decisions and effectively communicate with IS professionals to ensure the successful implementation of their initiatives. Includes full-length cases studies. * Physical Copy / Print On Demand only available in North America.